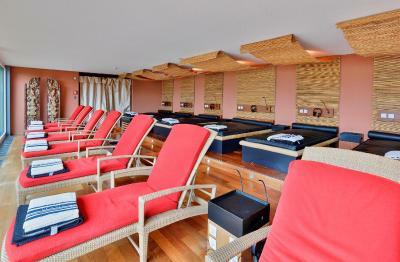 Lock in a great price for BEATUS Wellness- & Spa-Hotel - rated 9 by recent guests. Beautiful location, particularly this time of year - Feb/March. Lovely facility, though some ongoing renovations to the spa facility detracted a little from the ambiance. 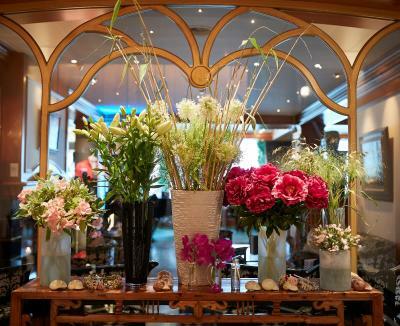 While the external facade isn't the nicest, the hotel itself is beautiful inside, and tastefully decorated. 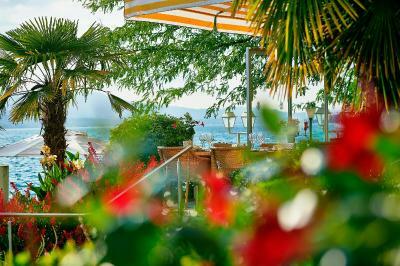 Liked everything, amazing location with magical views, great food and warm / friendly professional staff. the staff are very helpful and very professional , especially Ariane Malysch . She is fantastic lady , of course other reception staff and hotel management , who was very kind and we were happy. Amazing views from each room with a lake view, kind staff and the special breakfast and dinner offer makes the stay very convenient, especially since the hotel location is far from Interlaken and Thun downtown for any access to restaurants at night. 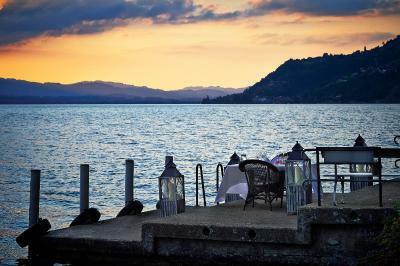 Staff were very friendly and the lake view room is worth it. 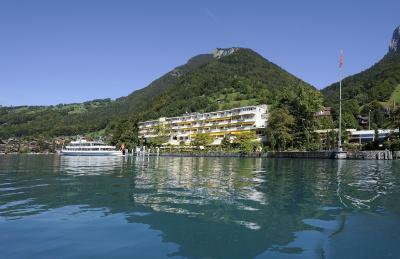 The Beatus Wellness & SPA Hotel in Merligen - Interlaken is located right in a large park on the shore of Lake Thun. 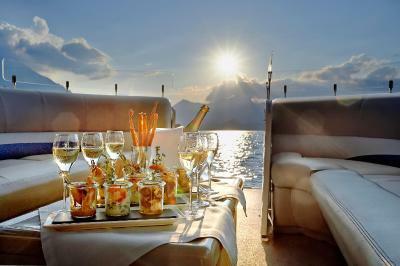 It offers a salt-water outdoor pool, an indoor pool, fine cuisine and free parking. 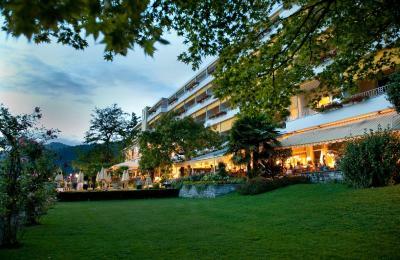 Some rooms have a balcony offering panoramic views over Lake Thun and the mountains. 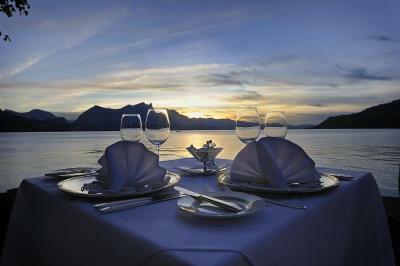 Light Swiss and international cuisine including fish specialties is served in the restaurant. 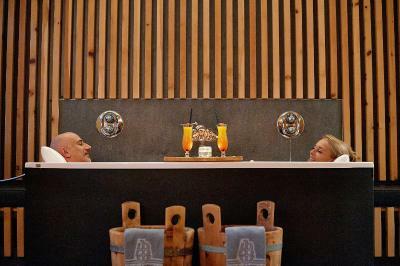 Half-board is available on request and includes breakfast, lunch, afternoon tea and dinner, as well as a weekly cocktail party on Sunday evenings. 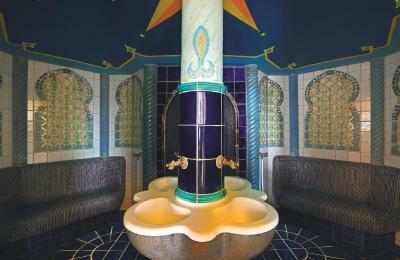 The wellness and spa area are available free of charge to guests. 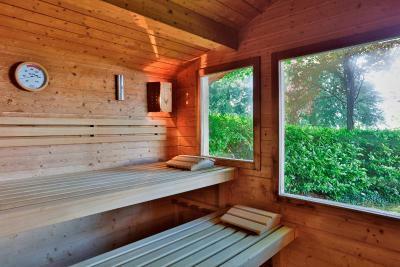 There is also a sauna and various massages are available as well. This property also has one of the best-rated locations in Merligen! Guests are happier about it compared to other properties in the area. This property is also rated for the best value in Merligen! Guests are getting more for their money when compared to other properties in this city. 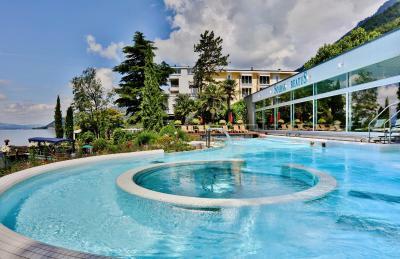 BEATUS Wellness- & Spa-Hotel has been welcoming Booking.com guests since 20 Jul 2010. 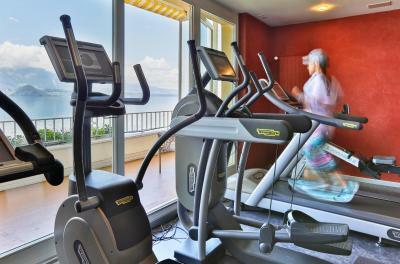 When would you like to stay at BEATUS Wellness- & Spa-Hotel? En-suite room with mountain views. 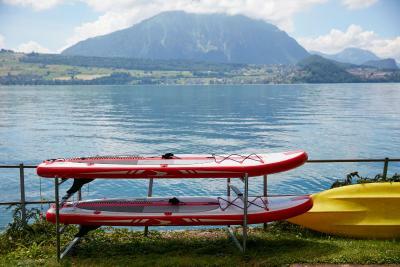 Private parking is possible on site (reservation is not needed) and costs CHF 10 per day. En-suite room with lake views. Spacious room overlooking the lake. Spacious room with a balcony and a bed with lake views. 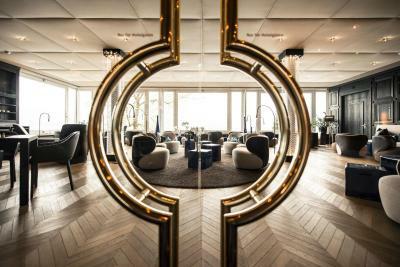 This room features a seating area. 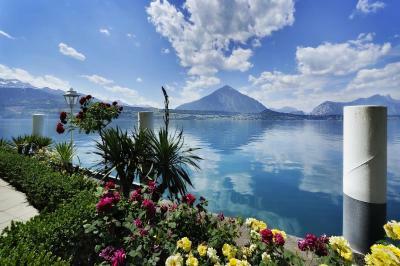 This air-conditioned suite offers a coffee machine, panoramic windows and a balcony facing the lake of Thun. The bathroom comes with a steam shower and a spa bath. 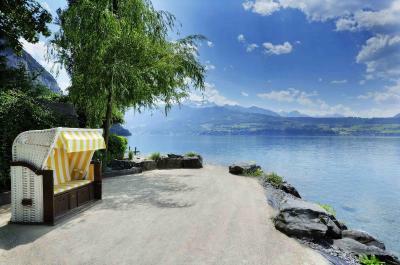 This suite has a balcony facing the lake of Thun. 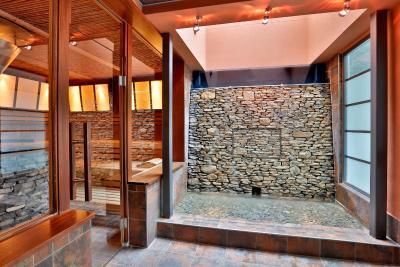 The bathroom features a steam bath and a spa bath. 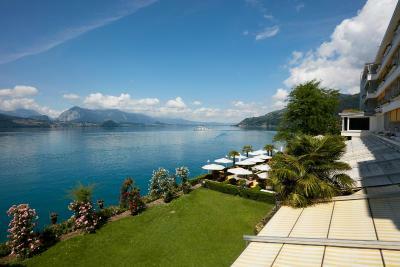 This air-conditioned suite features a large lounge balcony facing the lake of Thun, a living room and a bedroom with a separate shower. 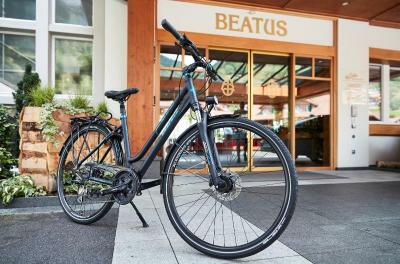 House rules BEATUS Wellness- & Spa-Hotel takes special requests - add in the next step! One child from 0 to 16 years is charged CHF 35 per person per night in an extra bed. BEATUS Wellness- &amp; Spa-Hotel accepts these cards and reserves the right to temporarily hold an amount prior to arrival. BEATUS Wellness- & Spa-Hotel accepts these cards and reserves the right to temporarily hold an amount prior to arrival. The staff was very nice and friendly. We had a honeymoon surprise. The resturant was good and full of choices. 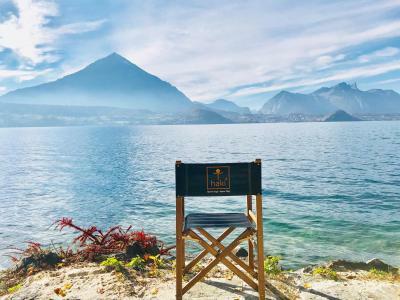 I would recommend it to anyone visiting interlaken area. The staff are very helpful, gentle and friendly. The hotel view were amazing. Wish that Chinese and Indian tourists would be told not to use cell phones at dinner/breakfast to play video clips in a loud volume. Location is top, room & bathroom was very spacious and clean. 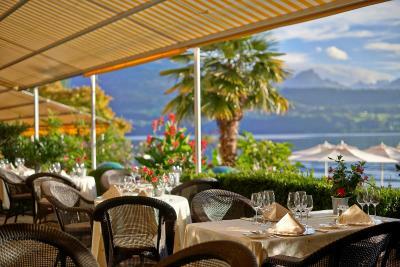 Great terrace with view on the lake and the mountains in the back. Dinner (game buffet) was very tasty, prepared with a lot of attention. Staff is extremely friendly. 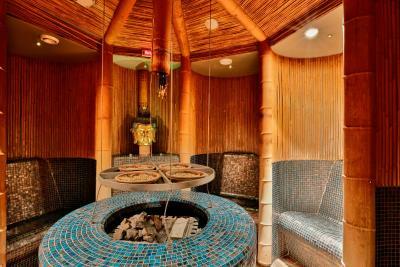 Amazing spa treatment relaxing atmosphere. Half board dinner was not good value. A bit old work world but that was the charm of it. 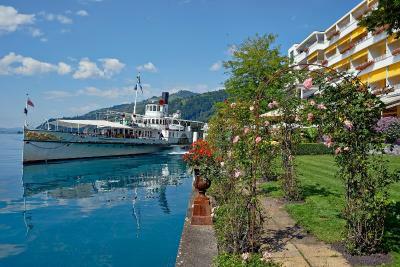 Wonderful location on Lake Thun with mountain views. 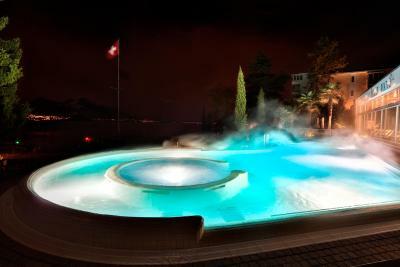 Outstanding spa with huge out door salt water hot bath. 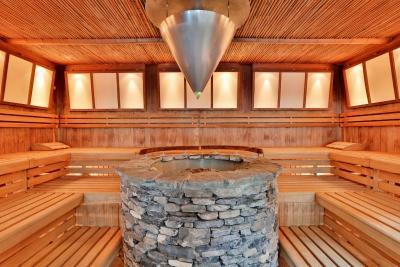 Full spa area with steam baths a saunas. Guests were on the retirement side but a good stop over which is how we used it. Service and food were excellent. Rooms spacious and comfortable. Be sure to get lake side view. 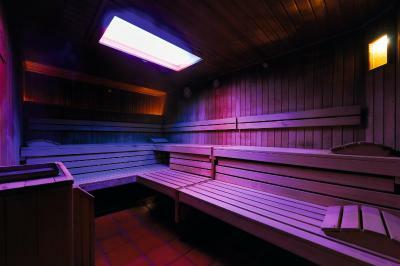 The spa was ok, slightly dated and could do with refurbishment.